Nelkin Designs Blog: Working Gauge and Nelkin Designs Patterns! Working Gauge and Nelkin Designs Patterns! If you've come across my designs before you'll know I can be a stickler for gauge. How to work gauge swatches comes up ALOT when people are ready to dive into a new design of mine and I decided it's time to give you all some rules and guidelines that I follow when working gauge for my patterns! Cast on at least 6 sts more than called for in the gauge. Use the needle size called for. If you know you knit loosely, then go down a needle size. If you knit tightly, go up! Knit in stockinette stitch (knit 1 row, purl 1 row) or garter stitch (knit every row) for at least 4 inches. Bind off LOOSELY! The pattern will tell you what stitch to use. Soak your swatch in warm water for 5 minutes, if not longer. You can use a little wool wash if you want, but it’s not necessary. Take your swatch out of it’s bath and squeeze out all the water in a towel. Lay out your swatch flat. I use my ironing board for this as things dry quickly on it and it’s surface can get wet! I smooth out the swatch, but I DO NOT pin it. Measure your stitch gauge. 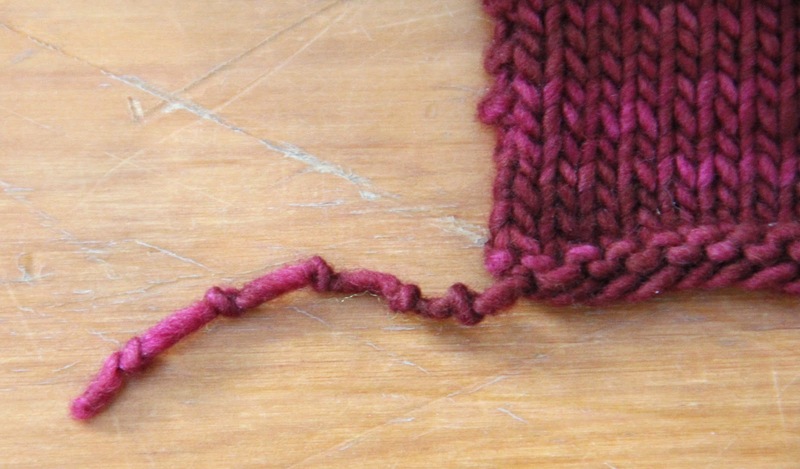 You want to do this over multiple inches, making sure you keep away from the edges to get an accurate stitch count. This is why you are casting on 6 more stitches than called for. I always use an ironing board as a work surface and a gauge ruler or measuring tape. 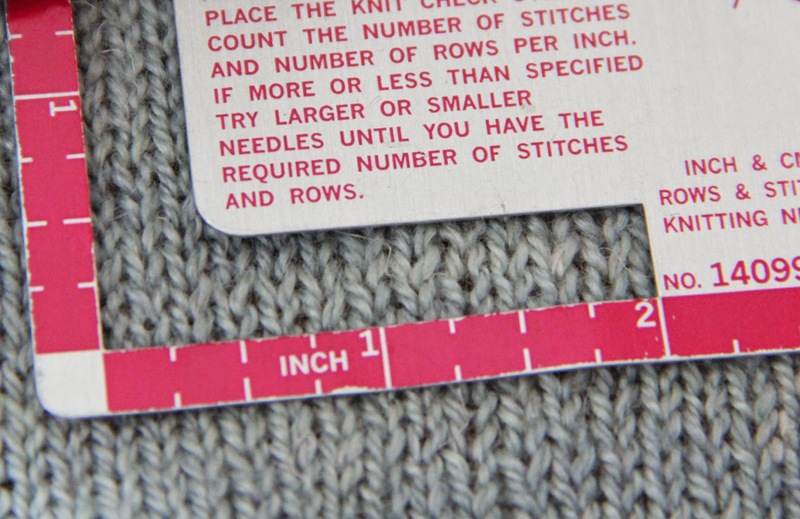 With the swatch lying flat, measure the number of stitches over 4" (10cm). Repeat for the row gauge. Remember that stitches run horizontally and rows run vertically. If you have too few stitches per inch (i.e., the gauge is loose), go down a needle size. This will tighten up the gauge by creating more stitches per inch. If you have too many stitches per inch (i.e., the gauge is tight), go up a needle size. This will loosen up the gauge by creating fewer stitches per inch. If a pattern calls for 24 sts/inch, and you get 23.5 or 24.5 sts/4 inches I wouldn’t re-swatch, but if the margin of error is bigger than that… I would! You can also measure your row gauge BUT in most projects the stitch gauge is more important so it’s not necessary to get too worried about it! I'll let you know in a pattern if row gauge matters more than stitch gauge. Work one row. DO NOT TURN WORK. Slide your stitches to the other end of the needle. Leaving a long float hanging at the back of your work, work another row. Again do not turn your work and slide your stitches to the other end of the needle. What this does is simulate working in the round. Continue on like this for 4 more inches.... follow directions above from #3. I keep all of my gauge swatches... for "just in case" in an antique milk crate.... it's fun to look through and I always get good ideas when I play in it! I mark them all so I know what size needle I used for the swatch. I can look up the yarn by searching my projects on Ravelry! 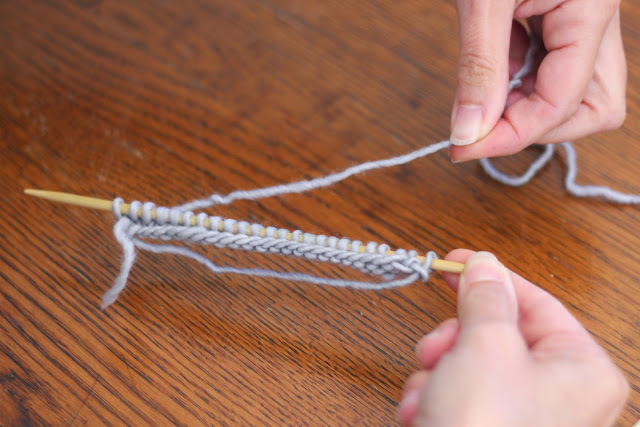 I do this by either, tying knots in the tail for the number of my needle size, or by purling that number of stitches in one of the first few rows. I know some designers who mark their swatches with sets of yarnovers and knit 2 togethers. This technique doesn't work well for the smaller needles sizes that have half sizes (like a US 1.5), when this happens you need to tie a note onto your swatch! A final note: This is how I work gauge in my patterns... gauge technique may differ from designer to designer which is why I wanted to share mine with you. Do you have any other tips or tricks you'd like to include? Or a question? Let's start a gauge dialogue! This is how I knit, process and measure my gauge swatch. If when knitting the swatch I'm pretty sure that I need to go up or down a needle size, I'll make the change in needles more evident by working half an inch of garter stitch between the stocking stitch worked in the different needle sizes. This is great!!! 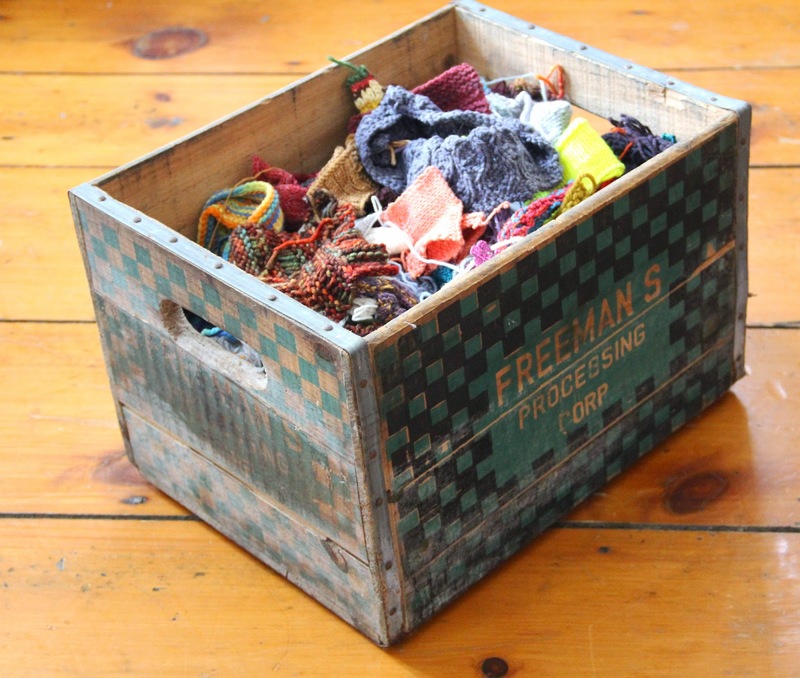 I had so many little tips on bits of paper or saved on Ravelry. It is so good to get everything in one place here!! Thanks! Thank you for that great and detailed explanation! Looking forward to Phi with the exact gauge! I have made tags and written the needle size on it, however I like the idea of making a knot on the tail. My problem is I don't like wasting beautiful yarn on a gauge swatch. Fun to see all your swatches. I am going to get all mine into one cool container. Thanks for the great detail and inspiration. Adding my thanks! This is VERY helpful! Maybe you can talk to The People Who Make Knitting Standards and have this added to their big book ;). I learned a little tip that helps me when swatching in the round. I cast on eight extra stitches (in addition to the 6 extra Laura suggests). I knit the first two and last two through the back loop. I purl the third and fourth as well as the third and fourth from the end. This tightens up those loosey-goosey edges! Citgo Cowl: A Craftsy Student's SUCCESS!